Backed with rich experience and market understanding, we are offering our clients an extensive range of Axial Fan. All of our products are custom-engineered to our customers specifications. Our Fan Grills are available in market at reasonable rate. 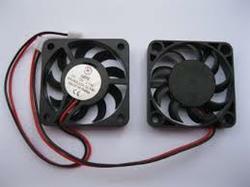 Axial Fan Plus Fan Grills 12 V & 24 V 3" DC Fan / 230 vac Fan 4"/6" & 8" 12 and 24 volt 3" DC fan / 220 volt AC fan 4" 6" 8". Instrument cooling fans are used in all types of panels . Application mainly in IT & Telcom, HVAC, Refrigeration, Industrial, Drive System Automotive, & Rail Techonology, Medical & many more. Price varies from Rs 150/- to Rs 5000/- based on the specification of the products. Matching with the customer’s requirements, we are engaged in offering extensive range of Instrument Cooling Fans. The offered products are available in various specifications and developed to ensure maximum efficiency. Our Instrument Cooling Fans are used in server racks, network and telecom and in many more industries. We are successfully engaged in providing a wide gamut of Cooling Fan. 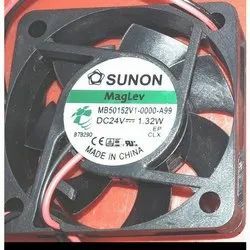 To meet the various requirements of the customers, we are involved in offering a wide assortment of UPS Cooling Fan. Wind Speed High mode: 160m/min. Wind Speed Low mode: 135m/min. We provide high quality AC/DC axial fans & Blowers for diverse applications. - Variety of more than 100 models - Built with ball bearings. Avail from us a comprehensive range of exhaust Fans, which are widely appreciated for its quality, performance and durability. Offered in vibrant colors and elegant designs, it finds its application in several industries for a number of applications.